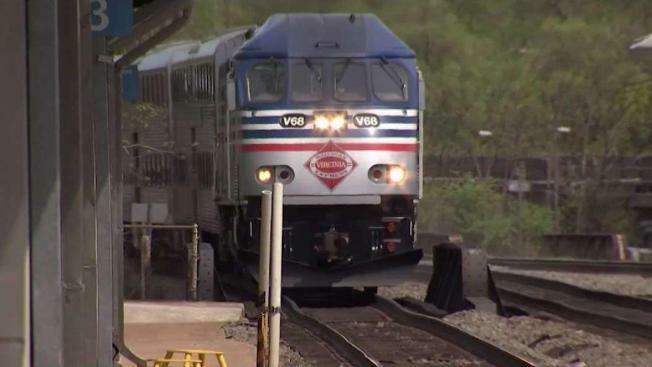 The Virginia Railway Express (VRE) ran using an important new safety system on all trains for the first time on Thursday. Positive Train Control (PTC) is designed to slow down trains in moments when the operator might have missed a signal or warn them about another train on the same track or workers on the track. The importance of PTC came into focus after an Amtrak Northeast Regional train derailed in 2015, killing eight people and injuring about 200. In that accident, the train was moving at extremely high speeds around a curve when it fell sideways and crashed. VRE has not had anything close to a similar incident. Still, lawmakers consider PTC to be important to implement across the passenger train network in the United States. PTC takes into account information that engineers previously got from printed timetables, wayside signals, dispatchers and other sources and centralizes that info into a system that slows trains down if engineers fail to heed warnings. In Virginia, demand for commuter rail has grown to be seven times what it was when the VRE got started about 25 years ago, making safety systems vital to tens of thousands more daily riders. Implementation of PTC on MARC trains is still ongoing. The Federal Railroad Administration has previously discussed serious consequences if MARC failed to meet a congressionally mandated deadline to implement PTC on its tracks. Metro trains, meanwhile, already have a similar system in place.